A number of tapestry-woven cushion covers from this period have survived. Some were imported from Flanders (now in The Netherlands and Belgium) and other European weaving centres, while those now thought to be English might have been made at the Sheldon workshop. 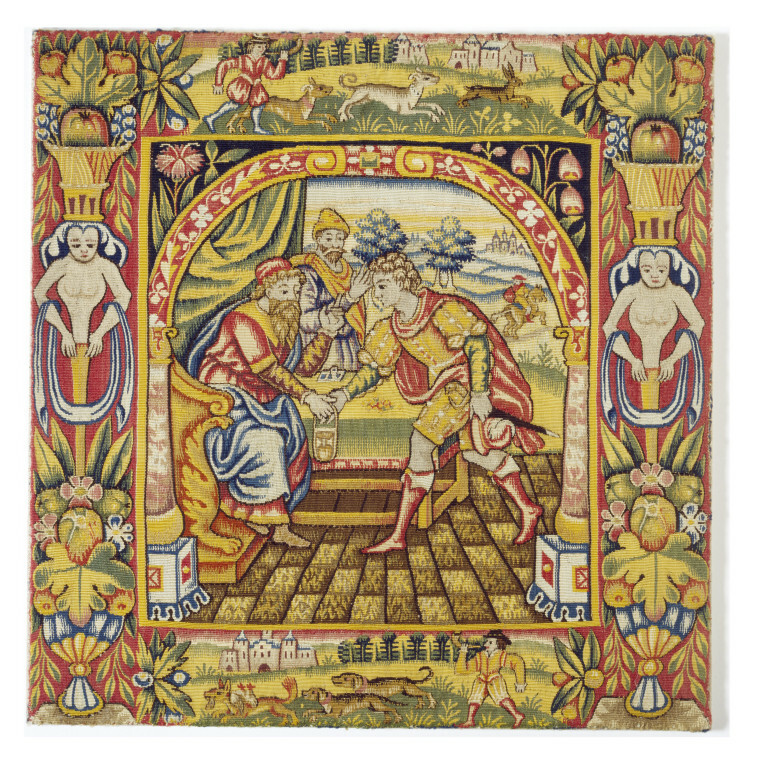 Although based on the design of a Flemish cushion cover (museum no. 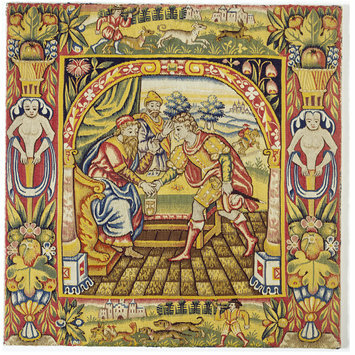 T.278-1913 in the British Galleries), the naïveté and startling colours of this cushion cover distinguish it as English. 16th- and early 17th-century houses were very sparsely furnished by modern standards. Chairs were usually reserved for the master and mistress of the house, and cushions were vital in making benches and stools less uncomfortable. Some were tapestry woven and some embroidered. 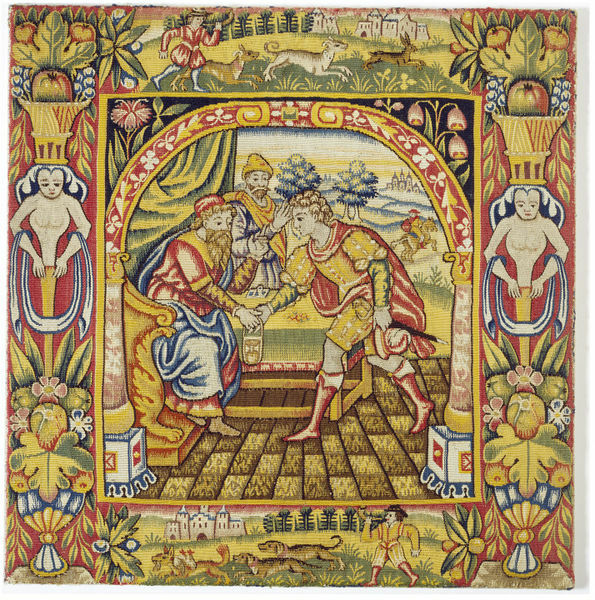 Other English cushion covers with scenes from the Parable of the Prodigal Son, from the New Testament, survive in private collections, revealing the popularity of the subject, no doubt because of its moral value. The narrative could easily be divided into separate scenes, each of which could be used on a separate cushion cover. With such a well-known story, the scenes could be used on their own or as a complete set.